Regular readers know that I often conjure up some lean thoughts, albeit sometimes nebulous, from my travels. Take Italy, Argentina, and Chile for example. For the past week I’ve been traveling with my European sales manager to a variety of customers and potential customers in Switzerland and France. Although a beautiful part of the world, it has been a grueling week of driving, presentations, and heavy meals. But I feel it is very important to listen directly to the voice of the customer and experience the life of our front-line company representatives. To wind down the week before a long flight back to California, yesterday I took a day for myself in Geneva. 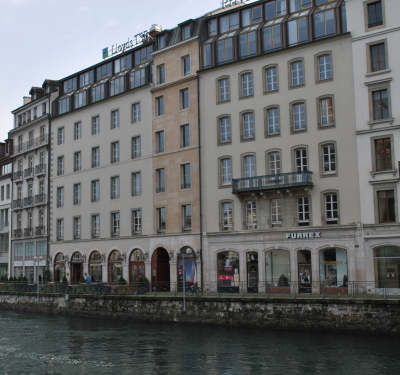 Although I prefer the medieval atmosphere of Zurich to the French renaissance style of Geneva, I enjoyed a relaxing day of seeing the sights. A couple of them prompted some lean-oriented thoughts. 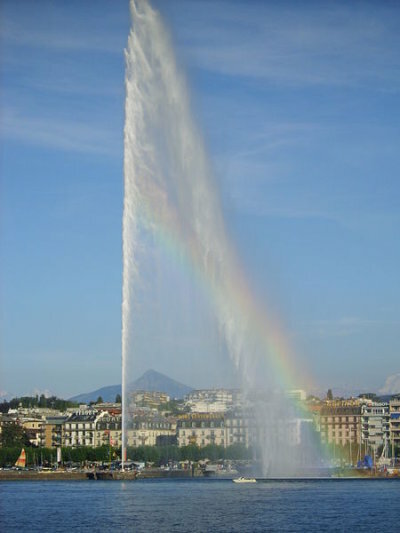 One of the most popular and prominent sites in Geneva is the Jet d’Eau, a fountain of water towering over the city at the point where Lake Geneva empties into the Rhone River. It’s scale is incredible… 500 feet tall, 130 gallons of water per second, requiring a mere megawatt to power the pumps. Perhaps to symbolize the conundrums of today’s energy-sensitive world I should have taken a photo of this objet d’art with a Prius in the foreground. And to be honest, it looks remarkably similar to a busted sprinkler head or fire hydrant, but I don’t claim to be a connoisseur of les arts. Pretty spectacular, isn’t it? When I woke up this morning and threw open the curtains, I realized something else: the spray was falling to the opposite side of where it was yesterday. Yes, you are also looking at the world’s largest visual indicator of wind. The poor souls in other cities have to squint at clouds, flags, or wind vanes, but the citizens of Geneva just need to look at the Jet. Here’s one more, although I don’t quite know how to analyze it. This particular waterfront building held my attention for several minutes while I downed a cafe. It looks like three buildings, right? But look at the top floor… the style of the first and third building are identical. Go down to the bottom level and the first and third are distinctly different. The middle section is a mish-mash of the two. Was it originally a single building, then subdivided into two and then three, then someone bought the penthouse of one and three? Or is the top all one building with a "design element" in the middle? How does something like this evolve? I was trying to come up with some analogy to mixed model production, variational permutation, or some such nonsense until I gave up and decided it’s just an interesting quirk. Or maybe my brain is just fried from a week spent nine time zones away from home.